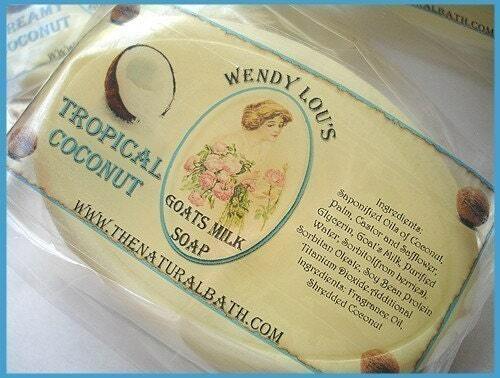 Handmade coconut milk soap collected from all over the web. Handcrafted, tropical, vegan friendly, luxurious handmade soap. Soaps from all around the world. I've created this blog to show off all of the talented soap artisans through out the world. I am a handmade soap maker and coconut milk is one of my favorite ingredients to use to add moisturizing qualities to soap. I wanted to find other soap makers who share that passion and feature them here. "This warm tropical scent is sure to make you think of laying on the beach while daydreaming of the perfect tan. Relax under a tropical palm tree and soothe your senses. Shredded coconut has also been added." 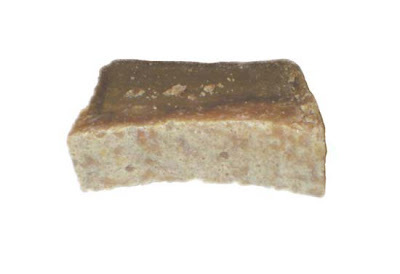 "This is one of Bohemia soaps customers' favorite bars. It must be because it is their only soap made with Coconut Milk and Cream, which is known for its ability to moisten the skin. Each soap bar weights 100 grams (3.53 oz). This soap is wonderful to treat severely dry skin. Its natural scent is not irritating, and its creamy lather feel extremely soothing on sick skin." Here's a luxurious way to enjoy the sweet benefits of coconut milk. Your skin will love you! Mix the ingredients together. Pour them into the bath while running warm water. Just before you step into the bath, sprinkle the rose petals over the water. Relax while soaking in this luxurious milky water for at least 20 minutes to allow the coconut and honey to indulge your skin.